Sign up for my "True to Life Fiction" Newsletter. NEW! 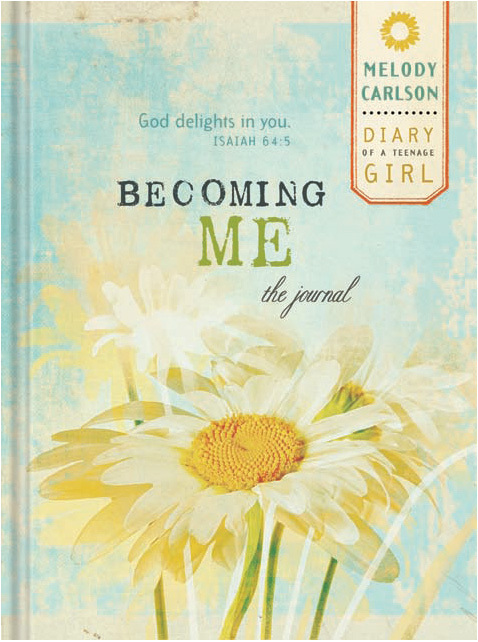 Becoming Me takes the Diary of a Teenage Girl series one step further and personalizes universal teen issues in a Journal format. The trusted voice of Caitlin O'Connor from the popular series will help young women deal with peer pressure, self-acceptance, relationships with friends and family, and understanding God's unique plan for their lives. 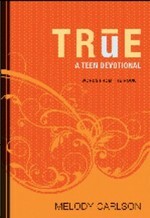 Always offers you 90 short devotions that help you encounter Jesus's words for yourself. Popular author Melody Carlson unpacks the message that Jesus wanted his followers to understand. Then she shows you how it applies to your life during the highs and lows of school, family life, relationships, and more. If you want to read the Bible for all it's worth, check out this final book in the Words from the Rock series. What does Jesus have to say to you? Ever wonder what Jesus might say to you if you met him on the street? Chances are his message to you wouldn't be all that different from what it was two thousand years ago, even though you live in a totally different world. You can discover what he said--and what it means for you--by reading his words preserved in the Bible. Life offers you 90 short devotions that help you encounter Jesus's words for yourself. Popular author Melody Carlson unpacks the message that Jesus wanted his followers to understand. Then she shows you how it applies to your life during the highs and lows of school, family life, relationships, and more. If you want to read the Bible for all it's worth, check out this second book in the Words from the Rock series. How do you build your life on Jesus? You get to know him and what he was all about. These 90 short devotions, based on the words of Jesus, will show you how the Bible relates to your everday life , bringing Jesus’s words to life. With this rock-solid foundation, your life and your faith can be unshakable.